Our intensive multi-day national conferences offer attendees a concentrated opportunity to gather insights from recognized experts and innovative practitioners. Our multi-day conferences provide an opportunity for counselors, teachers, administrators and other educators to learn about new insights and strategies for reaching and teaching students PK-12. In 2019, our conferences will be presented as part of the Innovative Schools Summit. The Summit will be hosted in four great locations (Orlando, Atlanta, Las Vegas & San Antonio), each covering 5 topic-specific National Conferences – providing a unique opportunity for attendees to learn key insights from a broad spectrum of experts and colleagues from around the country. These 3-to-4-day events provide an opportunity for counselors, teachers, administrators and other educators to learn about new insights and strategies for reaching and teaching students PK-12. In 2018, the Summit will be hosted in three great locations (Orlando, Atlanta & Las Vegas), each covering 4-5 topic-specific National Conferences – providing a unique opportunity for attendees to learn key insights from a broad spectrum of experts and colleagues from around the country. The 8th Annual Counseling Strategies & Resources is being held in Orlando, and brings together well-known featured presenters. 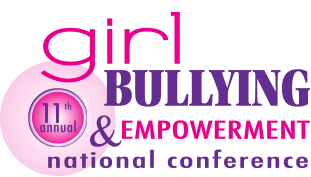 This conference will also feature best practices from educators and other professionals working with youth. Some programs will be research-tested, while others will be promising, innovative approaches created by practicing professionals to help them better connect with different types of students. Tragedies such as the shootings in Parkland, FL and Sandy Hook, CT have brought increased attention to school safety. The NextGen School Safety Conference will focus on steps that schools can take to prevent tragedies such as Sandy Hook, while also addressing steps that can be taken to prevent “everyday” tragedies – such as a teacher suffering a serious back injury, a teenager suffering a serious concussion or a second grader stepping in front of a school bus. Now in its sixth year, the Wired Differently Conference will be held this year in Atlanta. A wide array of critical insights and best practices will be shared for reaching and teaching students with emotional and behavioral conditions – including Asperger’s and other autism spectrum disorders, ADHD, bipolar disorder, obsessive-compulsive disorder, borderline personality disorder and more. These 3-to-4-day events provide an opportunity for counselors, teachers, administrators and other educators to learn about new insights and strategies for reaching and teaching students PK-12. In 2019, the Summit will be hosted in three great locations (Orlando, Atlanta & Las Vegas), each covering 4-5 topic-specific National Conferences – providing a unique opportunity for attendees to learn key insights from a broad spectrum of experts and colleagues from around the country. The 8th Annual Counseling Strategies & Resources is being held in Orlando, and brings together well-known featured presenters. This conference will also feature best practices from educators and other professionals working with youth. Some programs will be research-tested, while others will be promising, innovative approaches created by practicing professionals to help them better connect with different types of students. If you have any questions about our Conferences please let us know! If you have a question that is not listed below please contact us. Who Should Attend These Conferences? If I Register for a Conference do I Also Have Access to the Other Conferences that are a Part of the Innovative Schools Summit at that Location? At this time we are unable to offer student discounts or scholarships for this three-day event. 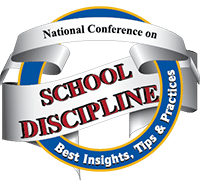 Can I receive Continuing Education Credit by Attending These Conferences? If a registrant cannot attend any part of the conference, substitutions may be made – via mail, fax or email – all requests for substitutions must be made 60 days prior to conference. Registrations cannot be shared. Cancellations received in writing 30 days prior to Conference will be refunded in full, less a $30 non-refundable processing fee. Refunds will be issued no later than 8 weeks after the conference in the same form that payment was received. After that time, no refunds will be granted, but substitutions are encouraged.